Aunt Martha's Cotton Kitchen Apron, in White Only $6.49! You are here: Home / Great Deals / Amazon Deals / Aunt Martha’s Cotton Kitchen Apron, White Only $6.49! Down From $11.72! 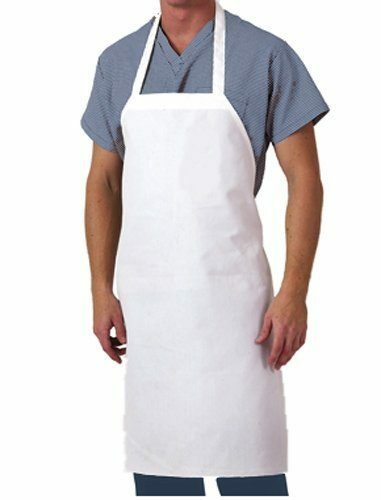 Aunt Martha’s Cotton Kitchen Apron, White Only $6.49! Down From $11.72! When you are baking big time like you do at the holidays, every thing gets messy including you! An apron allows you to prep without getting covered in flour or chocolate or whatever! Head to Amazon and get the Aunt Martha’s Cotton Kitchen Apron, in White for Only $6.49! Down From $11.72! Shipping will be FREE with Amazon Prime or an order of $35 or more. These also make great gifts for the kids or grandkids. Get a few and some cloth markers and personalize!